Earlier this year, six entrepreneurs from the food incubator La Cocina battled it out Top Chef-style in the Smitten kitchen to craft the best tasting ice cream flavor. They each served more than 50 scoops of their custom flavor to the attendees and judges. The grand prize? A coveted spot on our menu at all 8 of our scoop shops. And as you know, we serve only 5-6 flavors at a time (one per Brrr machine), so we’re verrry picky with our monthly menu. 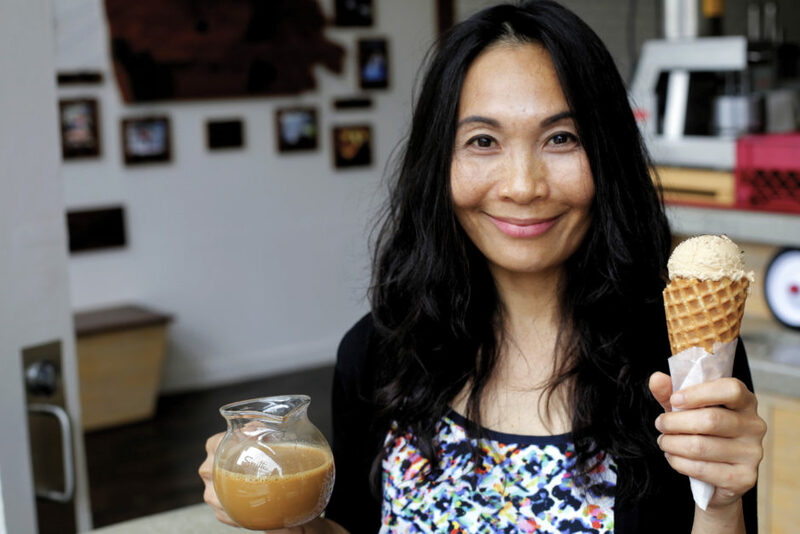 Amid other delectable flavors, Hang Truong’s Vietnamese Coffee emerged as the champion, sweeping both the popular vote and the judges vote. This month, as promised, we’ll be scooping Hang’s flavor in all of our shops. Hang formulated the flavor using the traditional method for making Vietnamese coffee, steeping a strong chicory-infused coffee blend and combining it with sweet condensed milk. It’s intense, bold and quite possibly the smoothest ice cream we’ve ever tasted. As a young girl, Hang grew up cooking in her mother’s noodle shop in the south of Vietnam. These days, she’s feeding veggie-forward noodle dishes to San Franciscans through her pop up restaurant, Noodle Girl. Catch her on October 15th at the La Cocina Street Food Festival, serving mango kelp salad and, of course, noodles. 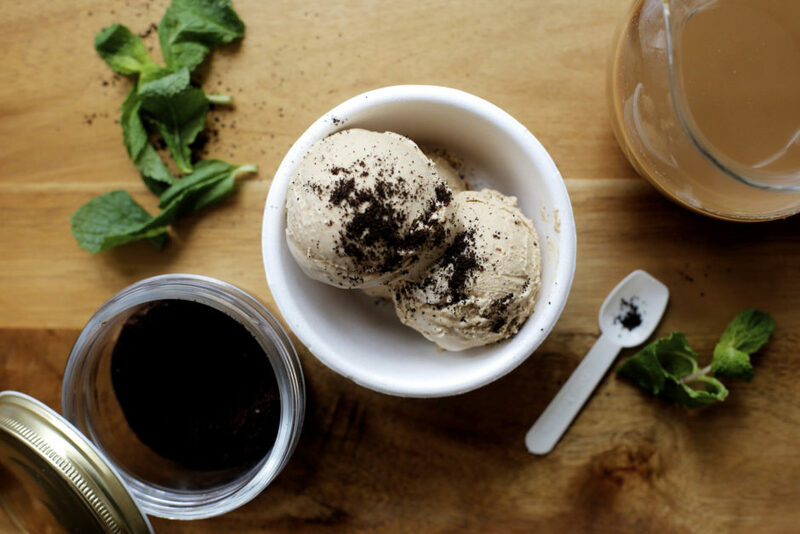 Vietnamese Coffee is available throughout the month of October at all Smitten scoop shops. We’re too excited to share it with you!